One of the biggest challenges that e-commerce marketers face today is standing out in a very crowded arena. This struggle heavily applies to the website experience and the ways you engage shoppers currently on-site. My guess is your conversion marketing strategy consists of a mix of email pop-ups, exit pop-ups, live chat, and possibly a messaging bar. The good news is you’re on the right track. All of these methods can help improve communication, navigation, and most importantly, conversion. The bad news is you may not have these marketing tools optimized for top performance on your site and if this is the case, you’re hurting your business. 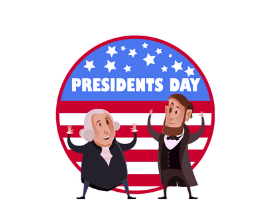 Now, it’d be great if we all had the time to strategically optimize our onsite marketing campaigns, but not everyone has the time or resources to do so. Because of this, I want to dive into one simple conversion tactic that can make an impact today and it has to do with gamification. Gamification is defined as the application of game design elements and game principles in non-game contexts. Marketers can use gamification to make ordinary calls-to-action more interesting and fun so shoppers will actually engage with them. In this case, take something boring like an email capture pop-up or form and make it fun and interesting. Let’s continue with this example. This email pop-up example below is pretty typical. On a given day, I run into anywhere between 10 to 20 almost identical pop-ups that look like this. This doesn’t get me excited, doesn’t seem to provide me with any value, and frankly, I won’t be opting in. If you aren’t catching the eye of the visitor or clearly offering them a value-add for completing the desired action, you’re just interrupting their user experience. You never want to sacrifice the UX of your site period, but especially for something that looks like the pop-up below which offers zero incentive for customers to engage. If your pop-up or sign-up form looks like this, then this article is for you. Let’s take a look at another example. This email pop-up can be found on Salt Supply which is a retailer of a pepper spray gun for self-defense. Just a few simple pop-up design tweaks have matched the opt-in to the website design which is already infinitely better. It should be noted that design also plays a huge factor in driving marketing conversions. The more visually appealing the pop-up or overlay is, the more likely it is to capture attention. Check out this other post for design inspiration, why it matters, and importantly, why it works. Now to the gamification aspect. 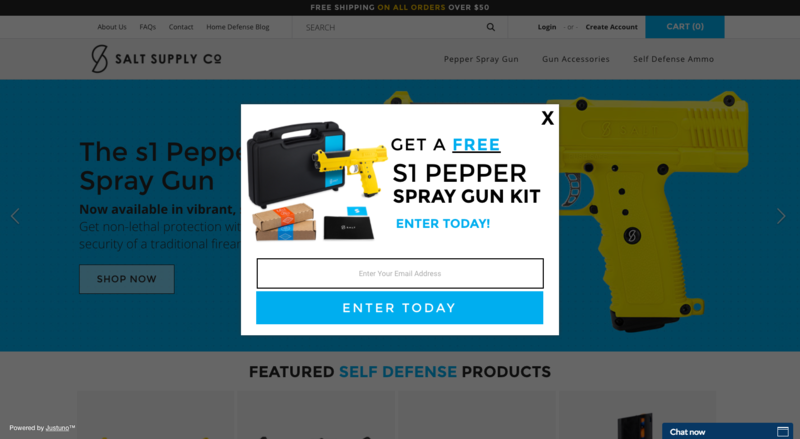 Salt Supply runs a contest promotion which presents shoppers with the opportunity to win a free pepper spray gun by simply entering their email. This increases the perceived value of performing the basic task of entering their email because there is actually a potentially large benefit for the shopper. Salt Supply shoppers are psychologically more inclined to opt-in to emails because of the high perceived value and let’s face it, there’s nothing quite like winning a contest. A couple of key takeaways. First, design with your website and brand in mind. Second, find ways to increase the perceived value of performing a mundane action like an email opt-in. If you thought the last example was gamified, this one is about to take it to the next level! 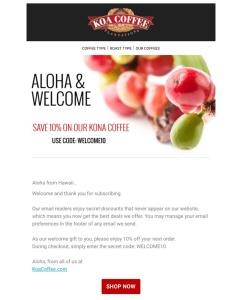 The Spin-to-win promotion is an easy way to provide some fun, high perceived value, and conversion power to your email pop-ups. At first glance, this promotion looks like a fun game with a big potential prize of 20% off. Hate to be repetitive here, but again, high perceived value while being engaging and fun for your shoppers is critical. 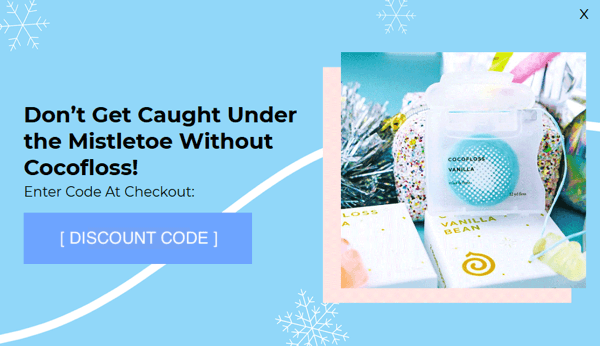 This is one promotion tactic to be careful with though, the highest discount you display on the wheel should be one you are prepared to offer. Current Justuno users, add this theme by clicking here! The easy answer: This gamification tactic can double your email capture rates and takes just a few minutes to implement. They work because they use what we’ve learned from consumer behavior and added in a psychological aspect to opting-in. By gamifying your pop-ups you make the visitor feels as though they are losing out on something if they don’t complete the task, driving them to action. 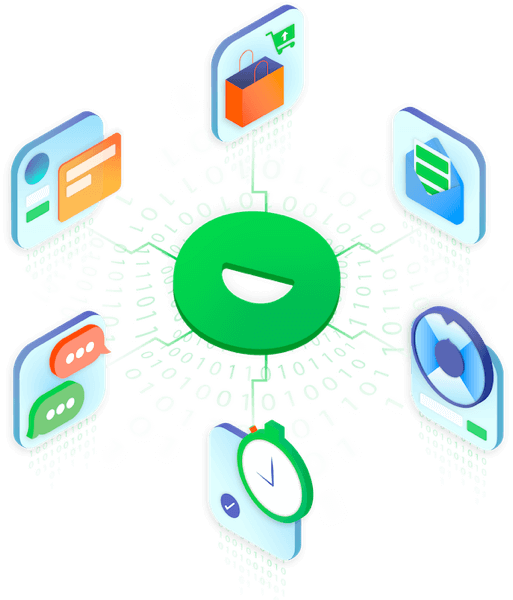 We don’t all have time to get strategic with our conversion optimization on our websites which makes these gamified promotions, specifically the spin-to-win, so accessible and applicable to your marketing strategy. If you want to make a positive impact on your business today and boost your customer engagement rates, give this gamification thing a try! You’ve just read about it, now it’s time to add it to your site! 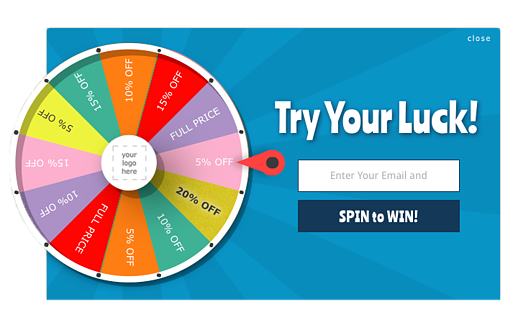 The Justuno platform provides the most customizable spin-to-win pop-up for your website. The conversion marketing capabilities don’t stop there. Create an account with Justuno and gain access to a collection of powerful conversion tools to use on your store!